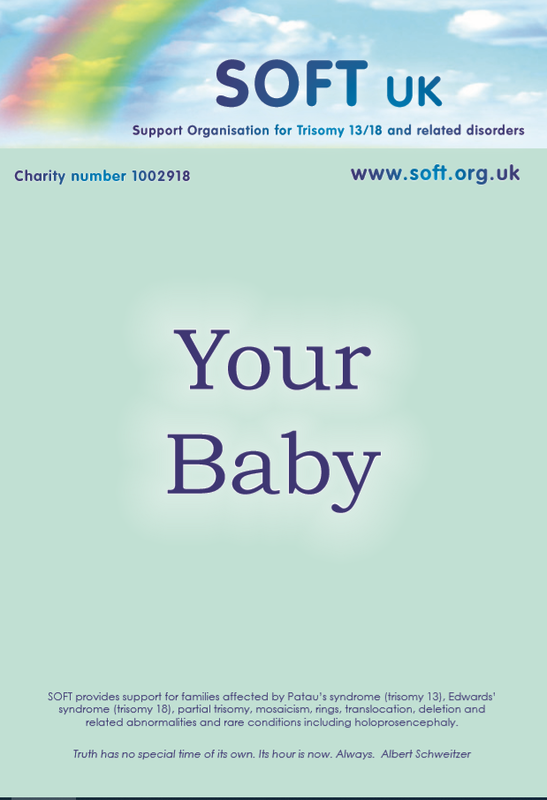 Your Unborn Baby was written by SOFT UK to provide a basis for discussions between you and your medical advisers. 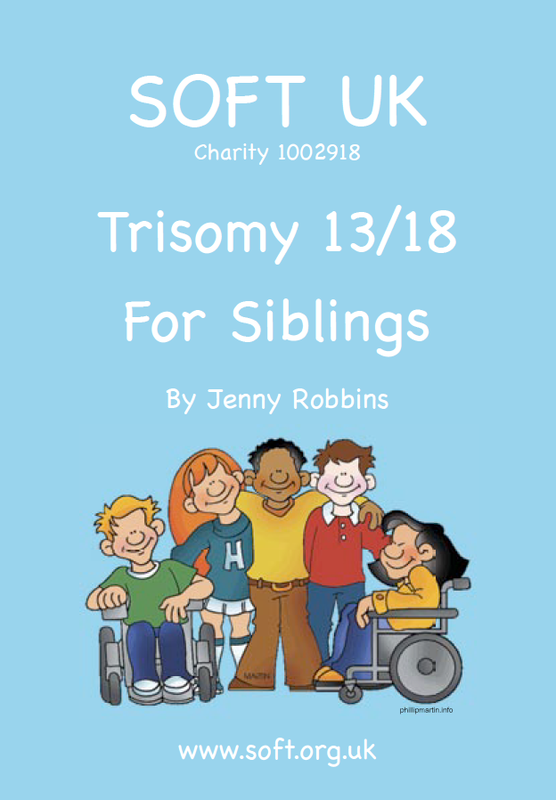 It explores the issues confronting parents after a prenatal diagnosis of trisomy 13 (Patau's syndrome) or trisomy 18 (Edwards' syndrome). You won't find any recommendations for particular methods of treatment as these should always be done in consultation with your doctor and other clinicians. But you will find plenty of information to help you towards making informed choices for you and your family. You can download a copy of the complete booklet. Contact SOFT if there is anything you would like to talk about. Every family is unique. What may be right for one child or family may not be right for another and parents can use these shared memories as a basis for discussion between themselves and their medical advisers. SOFT does not recommend particular methods of treatment, and new treatments must never be started or existing treatment changed without consulting your doctors. SOFT does not represent any political or religious groups. 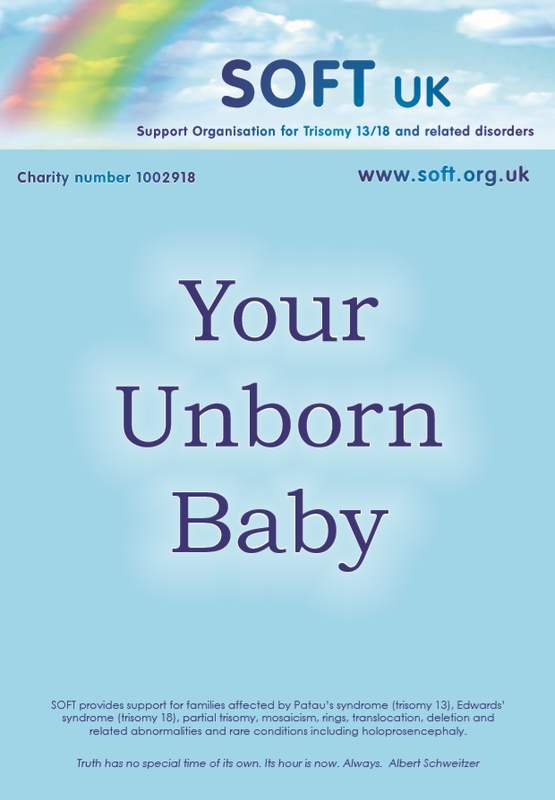 A resource created specially by SOFT UK to support brothers and sisters through the experience of having a sibling with a Trisomy. Funded by Jeans for Genes.